The closest video games have come to getting people active is Dance Dance Revolution, WiiFit and Pokemon Go respectively. Now, a new company named Icaros is taking a stab at it, this time in virtual reality. 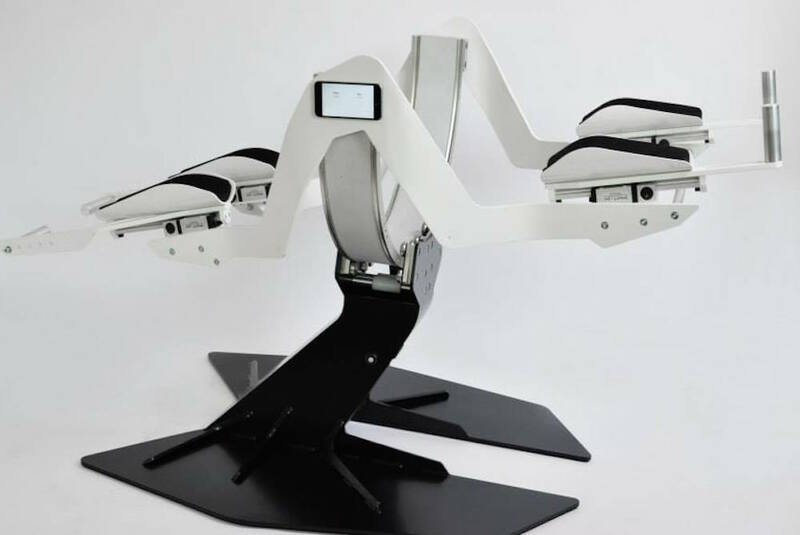 Complete with a full-body, gyroscopic system, Icaros’s setup involves laying in a plank position, and activating your core to move about through varying degrees of rotations. While equipped with either a Samsung Gear VR headset, Oculus Rift or HTC Vive, players can fly, dive underwater with animals, drive a motorcycle or parachute, and all the movements they make will correspond to what’s going on within the headset. With a wide range of movements, the apparatus can can go nearly vertical, or conversely it can sink to the point where your head nearly touches the ground. Several reviews noted that the tech doesn’t seem dangerous while riding per se, however it does take time to master the movements. Pointing your shoulders and backwards forward will bring the system downward and upward respectively, while moving your hips will move you side to side. 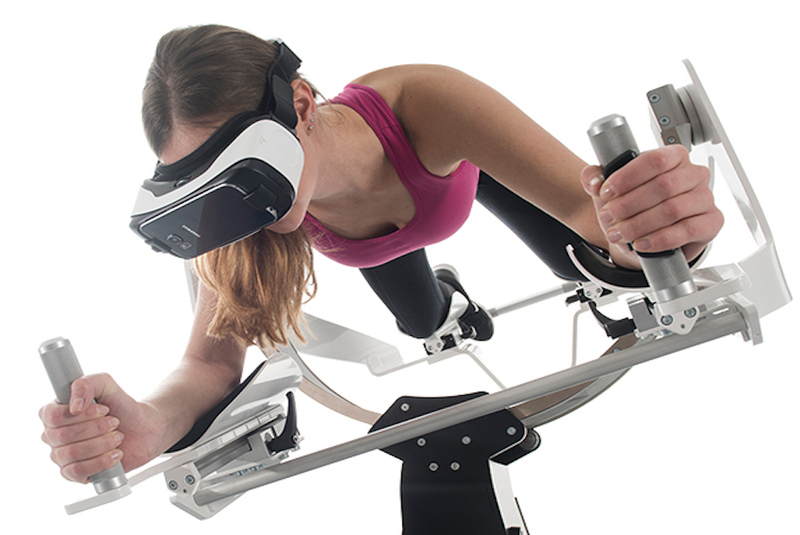 While this isn’t the first virtual reality flying contraption we’ve covered, it is the first to incorporate exercise into the experience. And though its unclear whether any side effects normally associated with VR (such as headaches or nausea) are present, the team behind the contraption seem confident enough to be rolling it out some time in the near future.